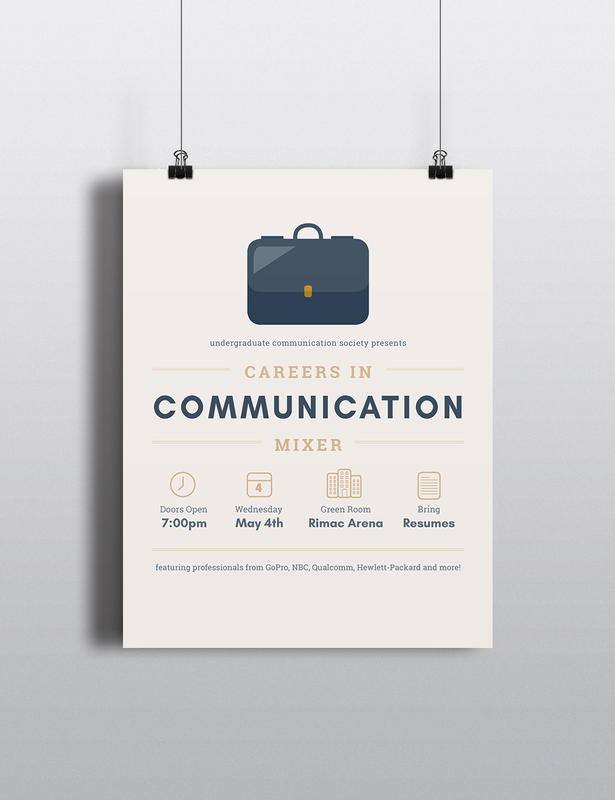 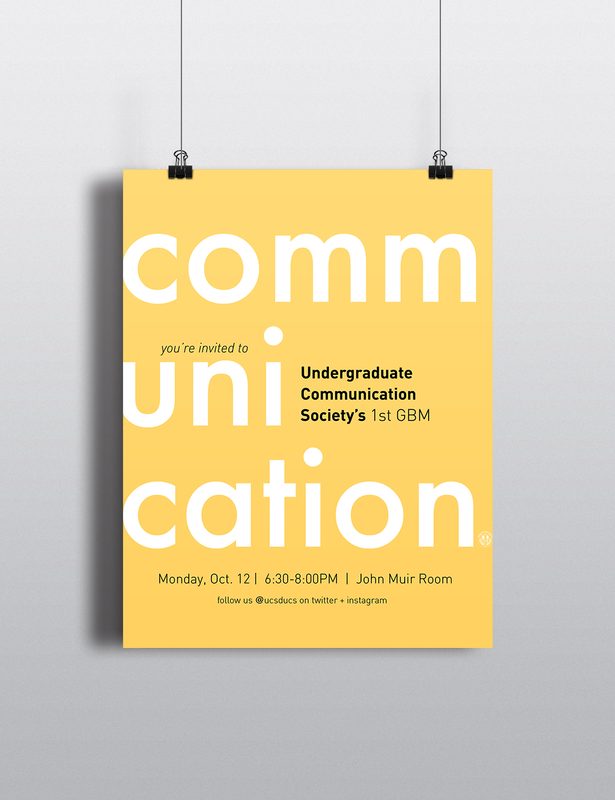 The Undergraduate Communication Society (UCS), a pre-professional organization on the UC San Diego campus that acts as a liaison between students and the UC San Diego Communication department, alumni and industry professionals. 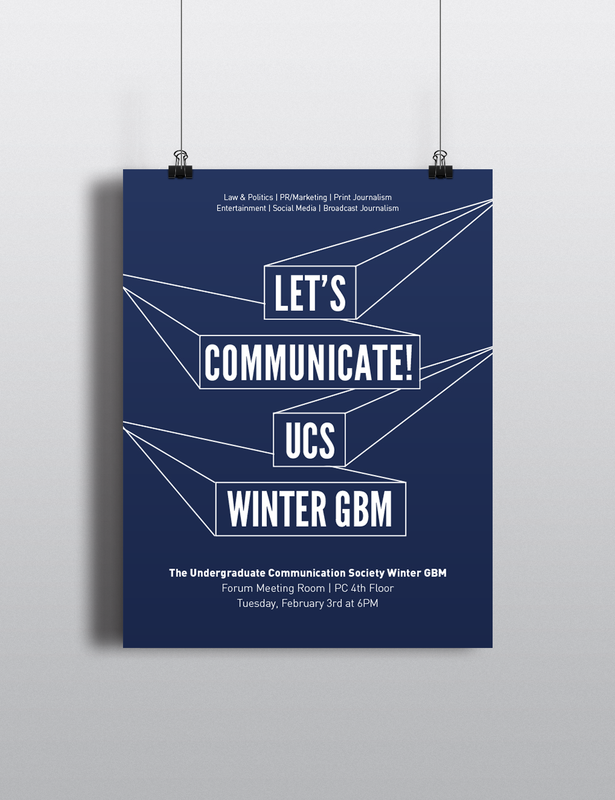 UCS holds quarterly general body meetings, career panels, networking mixers, fundraisers and company tours. 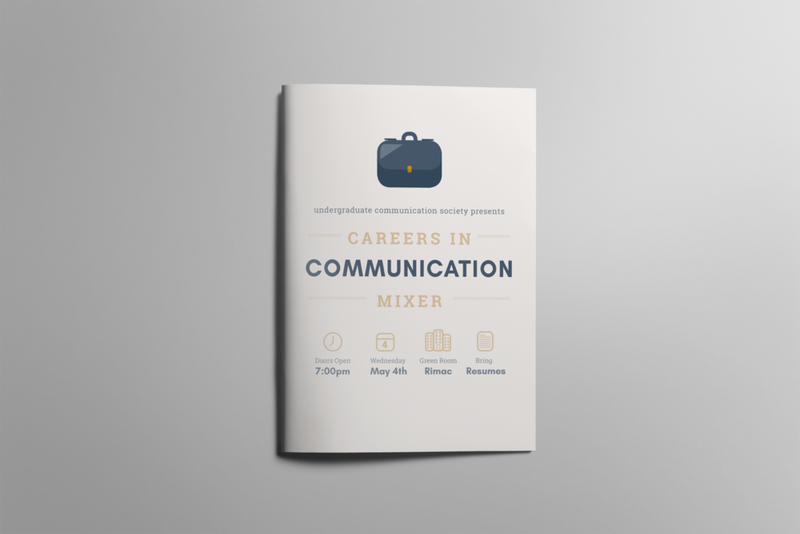 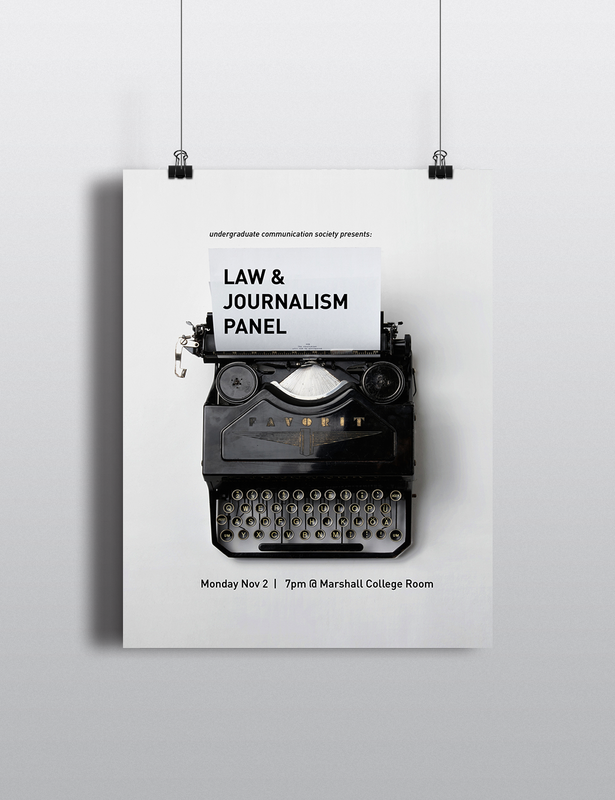 As the Graphic Design Chair, I created a new logo and all promotional material.